Food is more than just bursts of tastes tumbling inside mouths. Food is more than just nutrition and energy. In the grand scheme of things, the essence of food is backed up in the history of where it has grown. Just like how the cuisine in the Philippines comprises of light and subtle tastes, it is strongly reminiscent of the airy and carefree culture of Filipino people. And the same rules apply to every single country in the world. This brings us to Cambodia, and oh boy, this one is a doozy in the universe of taste. The Cambodian cuisine, also known as the Khmer cuisine, is very much rooted in its culture and history. The term Khmer goes back to the country’s Khmer Empire that built Angkor Wat, Cambodia’s temple complex which is a mighty tourist destination from all over the world. The term itself is used to describe the country’s native culture, people, food and the like. Cambodian cuisine is packed with complex flavors intermingling to form a delicious taste that you can get no place else. The vibrancy is obvious as the meals have incorporations of different qualities tastes all rolled into one. I’m talkin’ sweet, sour, salty and bitter wrapped up in a crunch of freshness. It can get a little spicy but it’s no comparison to the chilliness prepared in the trademarks of Thailand and Laos. The cuisine is known to be unique and dynamic with its particular ingredients that are also linked with the country’s essence and atmosphere. With a single bite, it would be impossible to not grasp Cambodia’s nature as a nation. Like most countries in Asia, rice is the staple dish mostly consumed with the meal. A key component in the cuisine is seafood usually caught along the Mekong River— another classic example of history meeting taste. The ingredients comprise of mostly meat, seafood, fruits, vegetables, noodles and rice. What a protein fix! The important components used in their dishes are kroeung (spice pastes), khaw (palm sugar) and prahok (fermented fish paste). 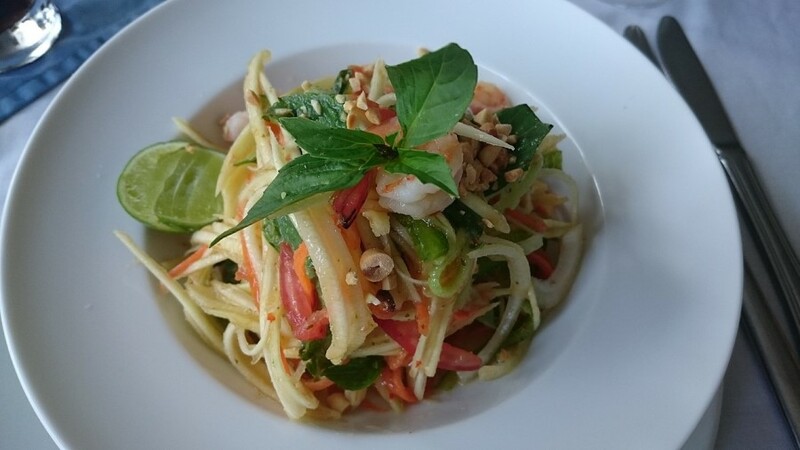 Prahok is known to be the most distinctive condiment in the entire cuisine as its smell and taste bring out a distinguished kind of flavor suited well with the rest of the existing dishes. It can be classified as an acquired taste, but hey, I’m ready to acquire it. This dish is regarded as Cambodia’s national dish and one of the best-tasting meals that the country has to offer. And can we really question that? It looks absolutely delicious and the presentation is almost always impeccable. Fish Amok is fish cooked with a curry paste mixed with lemongrass and coconut milk, turmeric, shallots and garlic. It is then steamed in a cup-formed banana leaf, giving it that traditional finish. How yum! I know this one seems pretty basic, but it’s a whole other thing in Cambodia. Cambodians love mangoes and they find uses for it at every stage of their ripeness or lack thereof. This is a dish packed with crisp freshness, swirling sour, sweet and savory in a single fully-loaded crunch. The fruit is mixed with basil, mint and vegetables, and the dressing comprises of lime juice with shallots, garlic, palm sugar and a little chili for that extra kick. 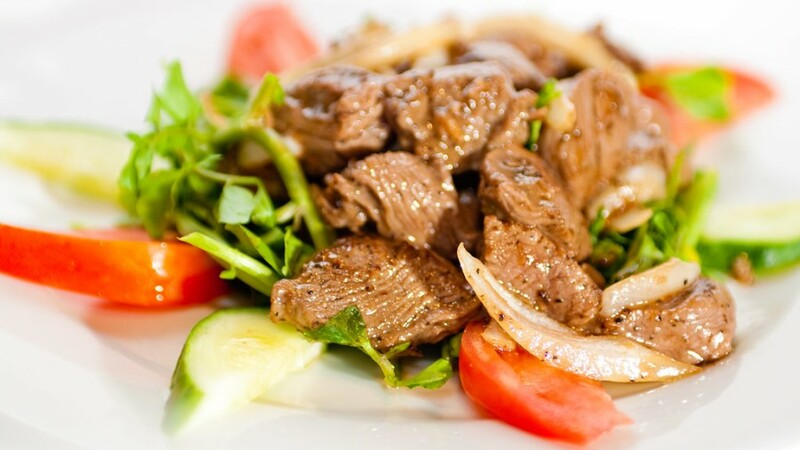 Ever eat a delicious steak and end up feeling guilty that you didn’t order the healthy salad instead? Why not get both! Beef Lok Lak translates to shaking beef salad and I have to say, it sounds pretty appealing as if it didn’t fit that bill enough with the presentation. This one is a traditional dish and a popular must-try meal. It sums up all the flavors in the Cambodian cuisine and more. The beef is cooked with oyster sauce, fish sauce, sugar and black pepper. Pack some vegetables in there and some Jasmine rice and you are good to go. I’m drooling! 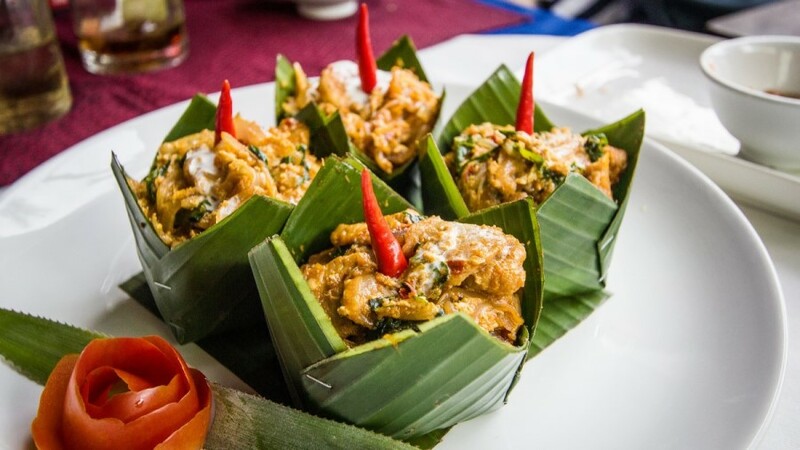 Cambodia’s cuisine is unlike any other and as soon as these dishes get a hold of your taste buds, you’ll know exactly what the country is all about: culture and enlightenment. How amazing it is to witness a deeper side to food, don’t you think? There are so many reasons why Thailand, the Land of Smiles, is pegged as a tourist paradise. The power of the Rainbow burns bright in the darkest corners of Asia. Asia is still mostly evolving when it comes to accepting the LGBT community, and it doesn’t hurt to zero in on places where the community is accepted… mostly. With an average of 20 cosmetic procedures/1000 Koreans, has South Korea’s ultra-competitiveness and lookism reached fever pitch? Get interesting tidbits from all around Asia, No Spam! We promise! Copyright © 2019 Breaking Asia ™ | All Rights Reserved.